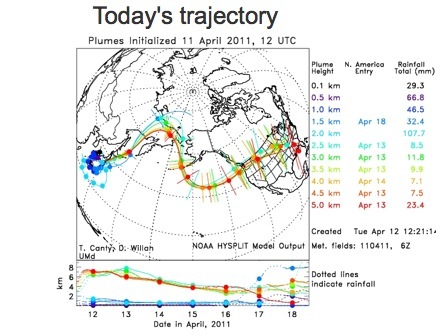 These radiation trajectories were calculated using the NOAA HYSPLIT model - University of Maryland. Two guys from Japan decided to visit Fukushima with Geiger counters and a GPS. When they got to the Fukushima Nuclear Plant radiation was over 100 microsieverts. 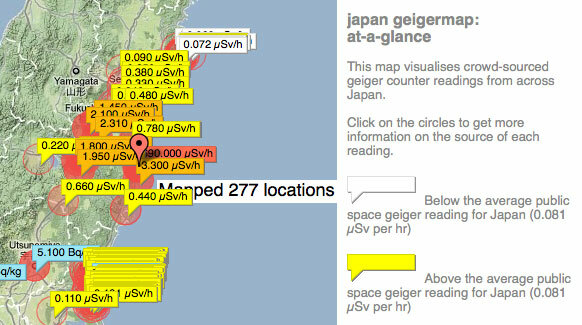 Daily updates on the crippled Fukushima Nuclear Plant by Fairewinds.